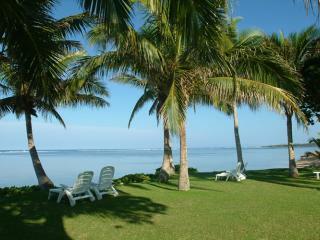 Bedarra Beach Inn offers guests great Fiji accommodation that features the privacy and friendliness of a small inn. Intimate, friendly and personalised service is yours from both management and staff. 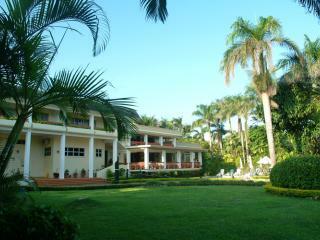 The goal of Bedarra Beach Inn is to welcome you as guests, care for you as family and think of you as friends. 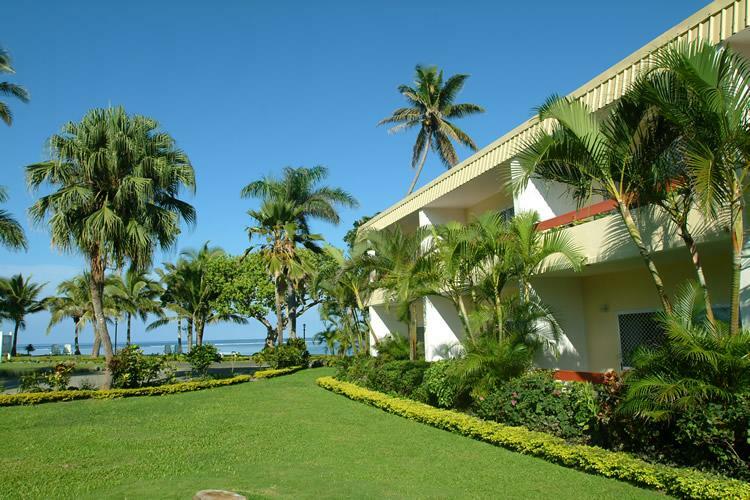 In the heart of Fiji's famous 'Coral Coast' you will find Bedarra Beach Inn, the Nadi International Airport is a mere 75 kilometre scenic drive away. 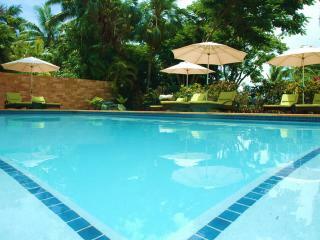 This affordable Fiji accommodation is in an ideal location close to the the river town of Sigatoka. 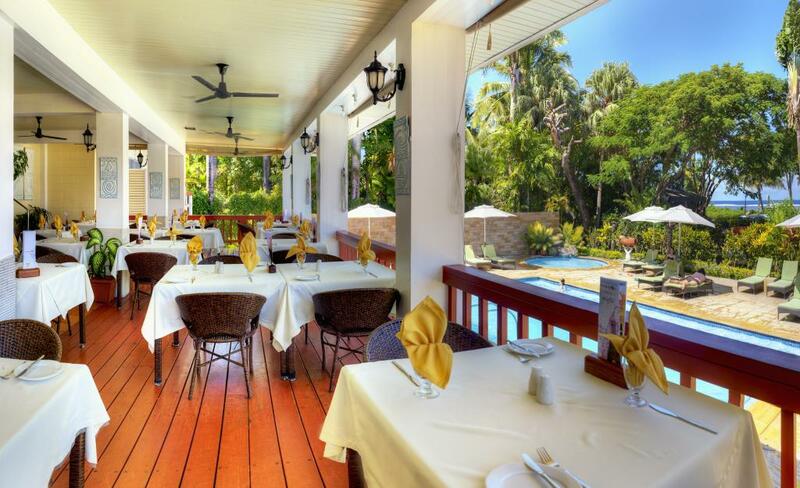 Set in tropical gardens across from a delightful lagoon beach, Bedarra Beach Inn is washed by the trade winds and the sound of waves on the reef. 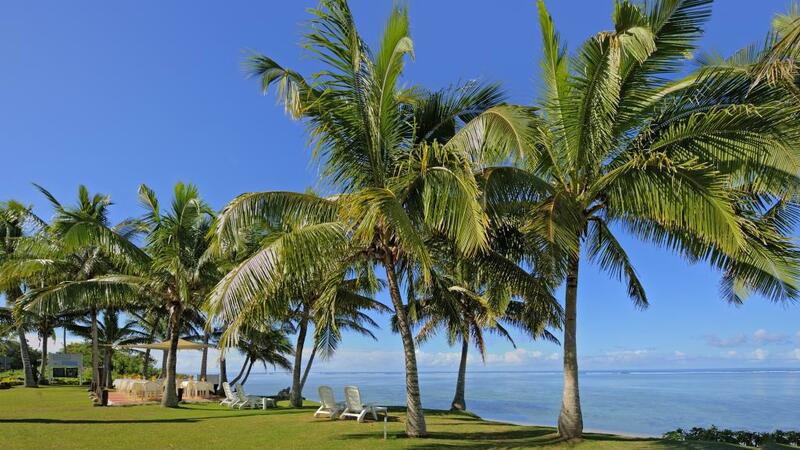 Basing yourself at Bedarra Beach Inn, you can easily explore Fiji's Coral Coast. The area offers great recreational facilities, restaurants, cultural performances and nightlife, while the pristine waters and reefs create an underwater paradise for snorkelling and diving. You can throw in a line with the locals or take out a charter vessel for game fishing. There are some spectacular surf beaches too, and for those wanting to take in some nature, history and culture - visit the fantastic Sigatoka Sand Dunes, where shifting sands and archaeological digs continue to reveal skeletons and pottery artefacts dating back to 15 BC. Head for the hills into the beautiful Sigatoka Valley, aptly named The Salad Bowl of Fiji. Here, you will be mesmerised by the colourful patchwork of agricultural fields, Fijian villages, Indian settlements, temples and volcanic hills. 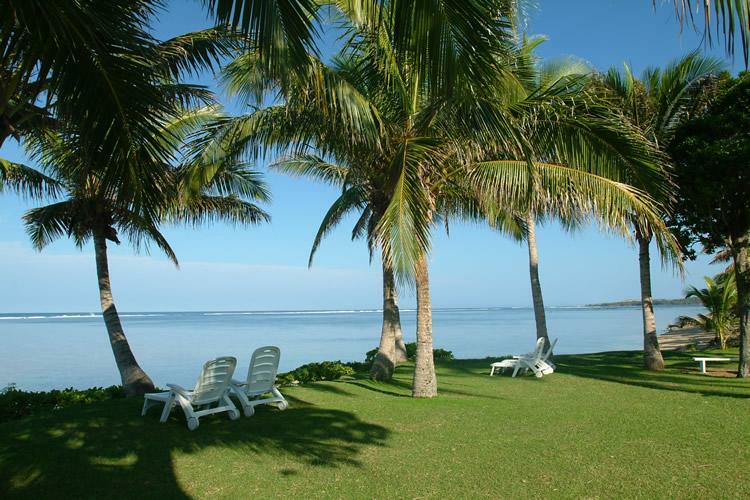 It offers spectacular scenery and a fascinating history of the Tongan tribes who were the last to resist Christianity. 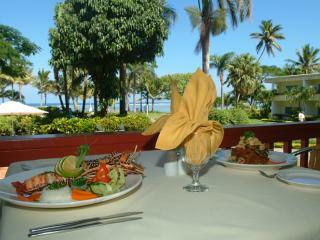 All of this and much more is yours to enjoy when you stay at Bedarra Beach Inn! Bedarra Beach Inn offers guests a choice of Deluxe, Standard and Superior Rooms ideally suited for couples or small families. 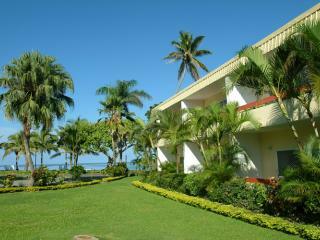 The rooms at this Fiji accommodation do not have televisions or telephones. 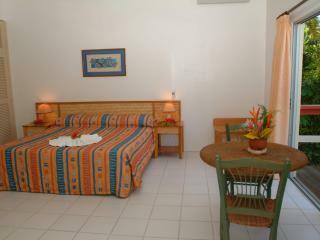 Standard Room: Each room features a courtyard with garden views and an en-suite bathroom. Bedding is 1 King Bed OR 2 Single Beds. Maximum room capacity is 2 Adults. 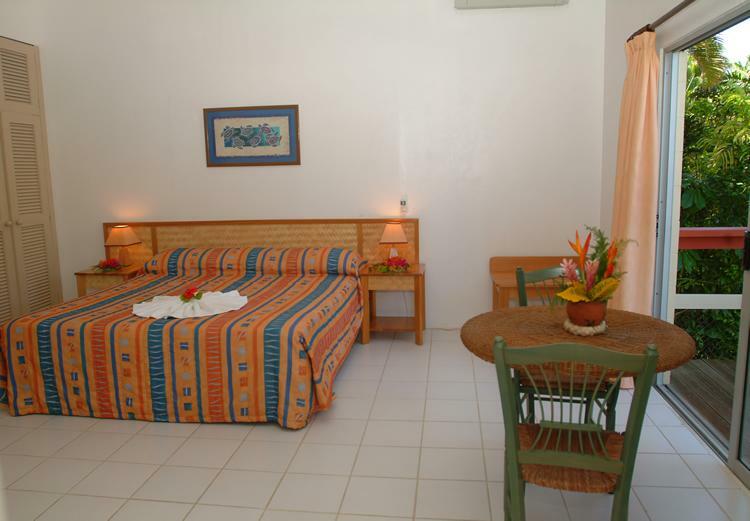 Deluxe Room: Each room features a balcony with garden views. 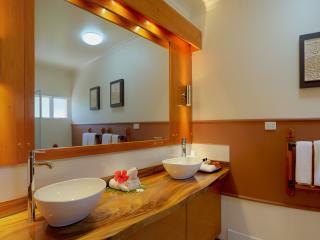 Rooms also feature an en-suite bathroom. Bedding is 1 King Bed + 2 Single Beds OR 4 Single Beds. Maximum room capacity is 4 Adults & Children. 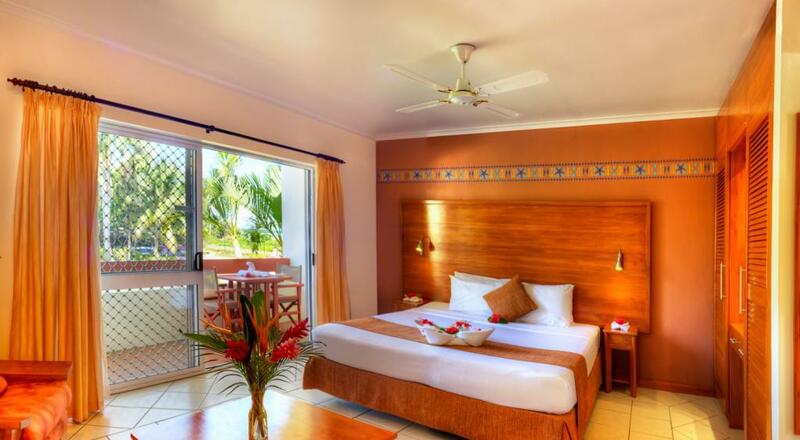 Superior Room: Rooms are air conditioned and feature a balcony with lagoon or garden views. Bedding is 1 King Bed + 2 Single Beds OR 4 Single Beds. Maximum room capacity is 4 Adults & Children. 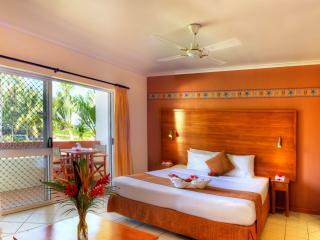 Superior Premium Room: Rooms are air conditioned and feature a balcony with stunning coral lagoon views. Bedding is 1 King Bed + 2 Single Beds OR 4 Single Beds. Maximum room capacity is 4 Adults & Children. 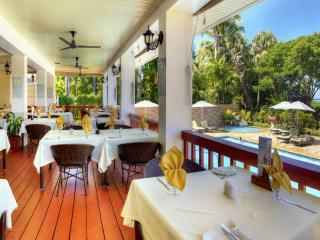 The Ocean Terrace Restaurant: The perfect place to relax on the veranda looking out over the pool with striking views of the lagoon. For breakfast and lunch, this cafe style venue serves everything from western favourites like pizza, burgers and salads to stir fry, pasta and some of the best curry on the Coral Coast. In the evenings the romantic terrace is lit by oil lamps and cooled by balmy ocean breezes creates an intimate and elegant atmosphere to enjoy the a la carte menu. 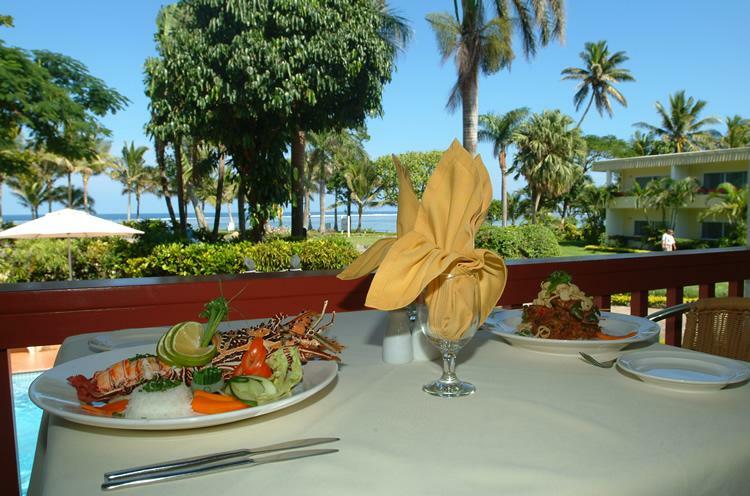 Indulge in local lobster, traditional Indian curry or local beef. An excellent selection of imported wines are a great accompaniment while one of the Chef's decadent desserts and freshly brewed coffees are a wonderful way to finish your evening. 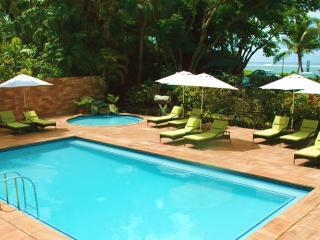 At Bedarra Beach Inn, the number one activity is the art of relaxation! 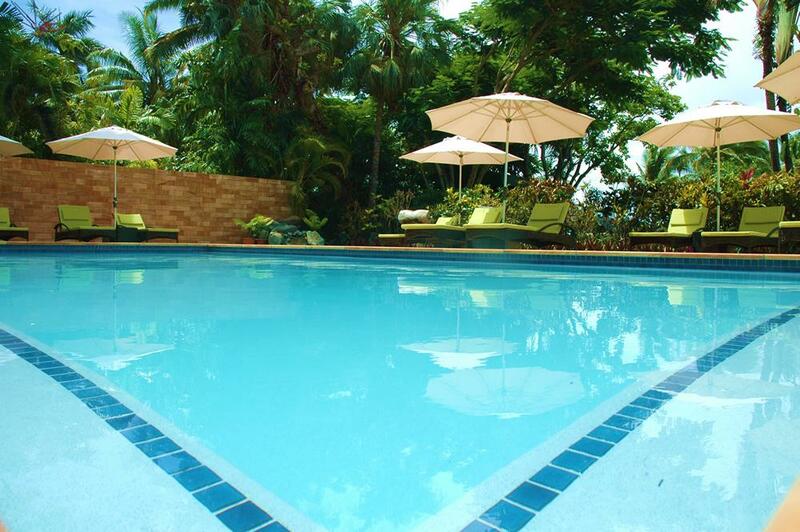 The freshwater swimming pool is just a few steps from your room or in 30 seconds you can be exploring the coral reef and marine life on the ocean front. 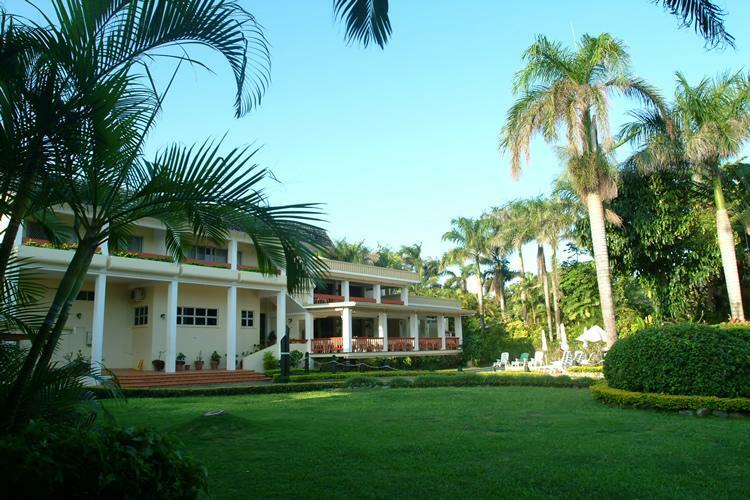 Within a short walk are the activities and nightlife of nearby resorts or you can take a ride to the river town of Sigatoka for some shopping. 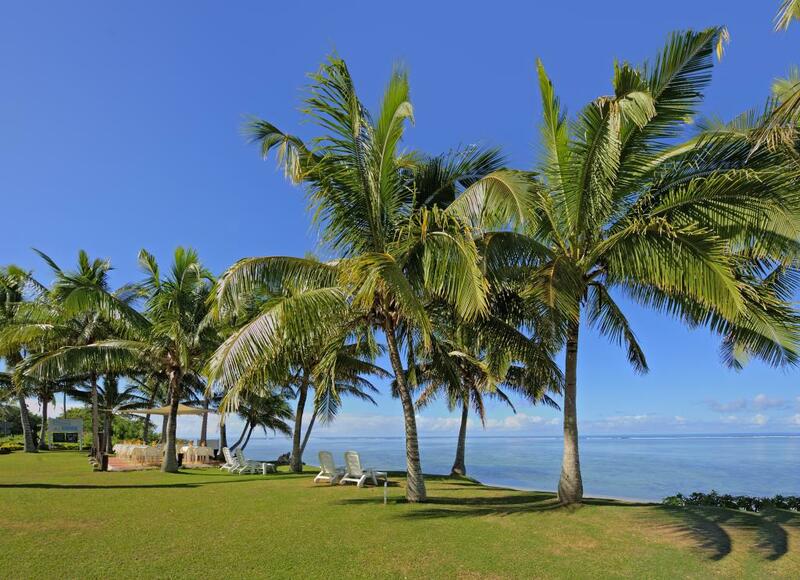 Whatever you're in the mood for, you'll find it in Fiji and the staff at Bedarra Beach Inn can help you plan a host of day trips and tours. 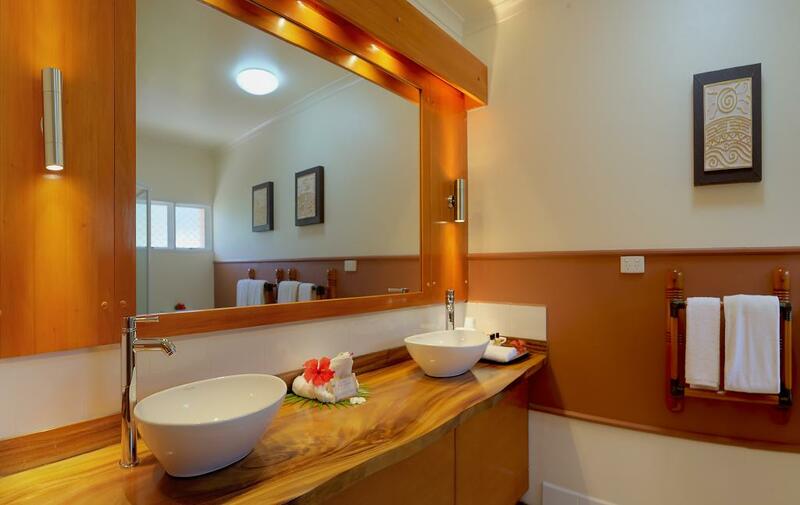 BBI Spa: Provides guests with top quality treatments at affordable prices in exquisite surroundings using the very latest Spa equipment and Fiji's locally produced skin & body care products, "Essence of Viti". Children: 0-2 years stay free of charge, children 3-11 years are charged at the child rate.